Stehe als Babysitter in 10715 Berlin zur Verfügung. Hi, my name is Rengin. I´m 6th-semester Communication Design student at Berlin University of Applied Sciences Europe BTK. I would be glad to take care of your lovely children. I have a flexible time schedule. I am free every Tuesday, Saturday and Sunday also Monday and Thursday after 13.45 , Wednesday after 19.00, Friday after 16.30. I am experienced in teaching English in funny ways while playing a game or reading books. Im fluent in English also I have a British accent but I don´t know German and it really helps to learning or practice English for them while being around your children. Because they start to figure out that they need to use English words they know for communicating me and express what they need or want. Stehe als Babysitter in 67663 Kaiserslautern zur Verfügung. I´m not a fluent german speaker. I can speak in English, bengali, hindi. I have experience in taking care of babies in family and I love to spend time with children. I´m studying in quantum physics in TU Kaiserslautern. I love to read books, painting, travelling. Stehe als Babysitter in 10969 Berlin zur Verfügung. Stehe als Babysitter in 10585 Berlin zur Verfügung. 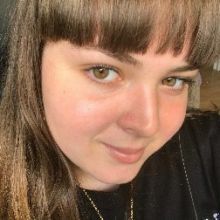 Hi I´m an italian girl,ive been living in Berlin for a year now and im planning to start my studies here. I love books movies and wondering around. I´ve been always surrounded by babies/kids starting from my smaller brother. I love ataying with kids they keep you active and make you curious about life again. I speak italian english german and french and I love learning about new cultures and travelling around. Stehe als Babysitter in 10963 Berlin zur Verfügung. Hello! My name is Kaya S. I grew up around babies and children of all ages, my mother was a midwife and we were surrounded by communities of families. I have been working with children since I was 12 years old. Babysitting has been my main job for the past 8 years and I adore children. I am very nature based and interested in reading. I grew up reading every book possible and love incorporating the magic of books into my work with children. I see myself as a super engaging and loving babysitter. I went to a performing arts school and love introducing this magic into playtime with children! My favorite rainy day activity is reading books, building forts, conquering imaginary dragons and drinking hot chocolate! I am bilingual - fluent in both English and German. (Both languages are my ´mother tongue´) I am open to occasional overnight care and have a very flexible schedule. I am able to run errands, as well as tidy up, do laundry, and cook meals that conform to every dietary requirement, Thank you for your consideration. Am planning to get CPR certified and First Aid certified within the next month, open to doing any other trainings or certifications to make you feel more comfortable! Happy to provide my resume upon request! Additional Information: 1. I do have a lovely apartment at the moment, and am not necessarily looking for a live-in position, bit would also be happy to reconsider this in the future! I would most definitely be open to a flexible schedule - and am definitely open and happy to work Friday / Saturday nights - every week or even just occasionally. I am happy to help around the house and iron some clothes! I am very experienced with cooking and happy to adapt to any dietary requirements - from an omnivores diet to someone who is vegan or gluten free! My last nannying job was for a family of 6, I was mostly responsible for working with the older kids (11 year old twins) and I stopped working there because the children were old enough, at the end of the summer, to walk to and from school by themselves and so my help was deemed no longer necessary. I so look forward to hearing back l from you! Stehe als Babysitter in 68305 Mannheim zur Verfügung. Hello, my name is Raiane, I was born in São Paulo, Brazil. I always had facilities to make a new friends, I like to meet new people, I believe that having this facility and always have a good relationship to my family will help me so much work with kids. I have two brothers one young and another older, I currently live in Germany. My mom and me have a very good relationship, she always helps me and she is very happy about my decision to live in another country. I´ve been dating for 1 year, my boyfriend is Czech and he lives in Germany for 4 years, I like to do so many things, I’m very I´m very excited and I don’t like being idle for a long time, in my free times I like to listen music, read books, watch movies, series, travel and search things on the internet, in the weekends I like to go to the cinema, malls, ride a bike… I have a godson, he has 3 years old, I like a lot to stay with him almost every weekend we are together, I think is important follow his growth and pass on my knowledge to him as a godmother. I´m graduated in foreign Trade and International Business in university UNIFIEO. I like the course I studied, is very interesting e very dynamic. I worked 4 years in a American company, Exterran I’m assistant of Supply Chain is good to me because I can do everything I learn in university in my job, and every day I use my English to work. About my future, I’m sure I want to work with kids kids and teach a new thigs, growing up together with your children will be very enjoyable, help them in their duties and see them each time better people, this will make me very happy. I like to bring good things to people and with the family I will work it will not be any different. I like also to visit new places, cultures, and have wonderful experiences in another country, I will be in Germany in September to visit, and I’m very happy to meet a new culture and to get used to the country I will live soon. I would like to thank the family will choose me. I am dedicating myself in every way to this program and improving my English daily, and i´m also studying German course everyday , it will be a good challenge for me. I will do my best and be happy, trust me! Stehe als Babysitter in 68169 Mannheim zur Verfügung. Hello, host family. My name is Sabrine. I was born in Porto Alegre in November 1996. Since I was a child I always had easy time to make new friends. I like to meet new people and deal with their differences. It´s amazing to think that everyone has their own story and I´m a part of it. I believe that by being able to meet new people and be connected to my family, will help me a lot during the Au Pair program. In November 2016 I went to Germany and stayed three months, I simply loved the experience. I have three sisters and a brother. All married, one of my sisters lives in Mannheim, Germany. I have eight nephews. Playing with my nephews, preparing recipes and spending hours having fun with them is very good. I currently live with my mother and my stepfather in an apartment. We´re big friends. They help me and support me in any decision. My mother is very happy with my decision to be an Au Pair. I like doing many things, I´m very eclectic and I do not like to be idle for long. Among my favorite hobbies are listening to music, reading books, watching shows and movies, traveling, surfing the internet. About my future, I am sure that I want to do this Au Pair program to meet a new family, make friends with children and teach them new things every day. Growing up together with your children, will be very enjoyable, help them in their duties and see them becoming better people every day will make me very happy. I like to bring good things to people and with my host family it will not be any different. I also want to see new places, cultures and incredible experiences in another country. I would like to thank the family that will choose me. I am dedicating myself in every way to this program and am improving my English daily. I will do my best and I will be very happy, trust me!